USD is acting stronger than EUR due to Eurozone mixed data such as Composite PMI, Composite PMI from Markit and Retail Sales report. 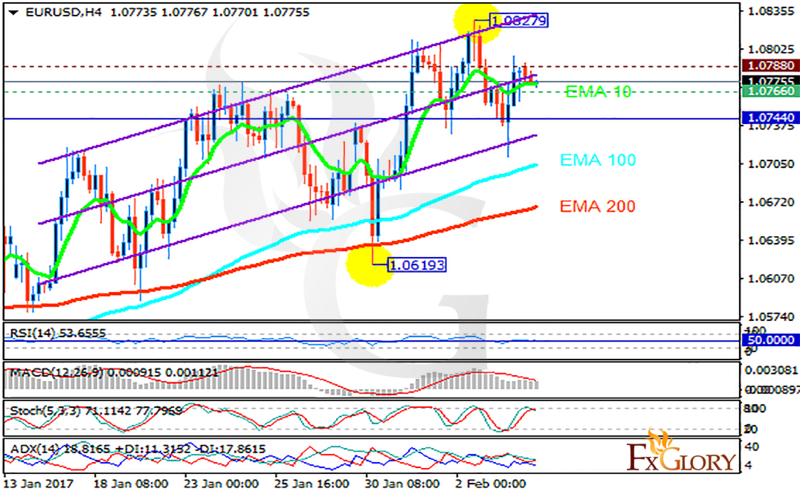 The support rests at 1.07660 with resistance at 1.07880 which both lines are above the weekly pivot point at 1.07440. The EMA of 10 is moving horizontally and it is above the EMA of 100 and 200. The RSI is moving close to the 50 level, the Stochastic is showing downward momentum and the MACD indicator is in positive territory. The ADX is showing a weak buy signal. Sellers can target 1.0700 for a short term trade however the pair will start its bullish bias in longer time period.